First Flag Sewn: Betsy Ross sews the First Stars and Stripes American Flag. While documented history is not totally clear, legend has it that a well-known seamstress in Philadelphia, Betsy Ross, was enlisted by George Washington to sew the first stars and stripes American Flag. 13 Stripes Becomes Standard: Up until this time, the tradition had been to add a new stripe and a new star for every new state that entered the union. However, on April 4, 1818, after five more states had gained admittance, Congress passed legislation fixing the number of stripes at 13 and requiring that the number of stars equal the number of states. “Old Glory”: The name "Old Glory" was given to the American Flag in 1831, by Captain William Driver of the brig Charles Doggett. Captain Driver took the flag on many of his ocean voyages. The Battle of San Juan Hill: Considered by many to be the bloodiest and most famous battle of the Spanish-American War, the Battle of San Juan Hill occurred on July 1, 1898. Future President Theodore Roosevelt (at that time a Colonel) led his famous regiment the “Rough Riders” to victory against the Spanish forces. Afterwards, Roosevelt and his victorious “Rough Riders” raised an American Flag and posed for the now-famous picture atop the hill. Adoption of Flag Day: On May 30, 1916, President Woodrow Wilson issued a proclamation that officially established June 14 as Flag Day, the same day in 1777 that Congress originally adopted the stars and stripes as the United States’ national flag. The flag is expected to be flown on all government buildings and United States’ citizens are encouraged to fly the flag on this day as well. 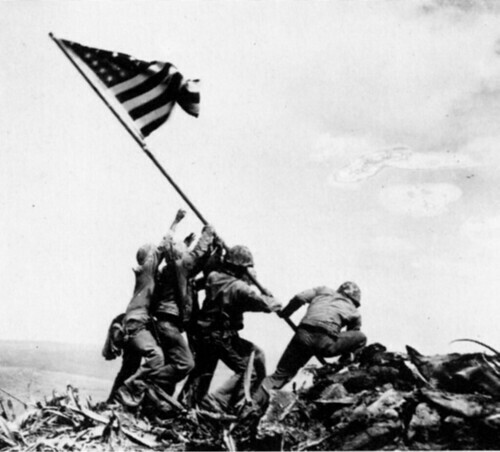 Raising the Flag Over Iwo-Jima: One of the most popular images in American history, Raising the Flag Over Iwo Jima, taken in 1945 is the only photo to ever win the Pulitzer Prize for Photography in the same year as its publication. The image was captured during the Battle of Iwo Jima in WWII. Six men raised the flag, three of which were later killed. The other three became celebrities after the war because of the picture. Half-Staff Proclamation: Many people probably don’t know that there was an actual proclamation issued by President Dwight D. Eisenhower on March 1, 1954, which standardized the dates and time periods for flying the flag at half-staff. These dates and times include; Memorial Day, Peace Officers Day, for 30 days after the death of a president or former president and for 10 days following the death of a vice president, Supreme Court chief justice/retired chief justice, or speaker of the House of Representatives. Adoption of 50-Star Flag: Following the admission of the State of Hawaii to the United States, the 50-star flag of the United States was officially flown over Philadelphia. This occurred under the Executive Order of President Eisenhower. Armstrong Walks on the Moon: Neil Alden Armstrong was the first person to step foot on the moon. On July 21, 1969 Armstrong stepped onto the moon and spoke the famous words "That's one small step for man, one giant leap for mankind." 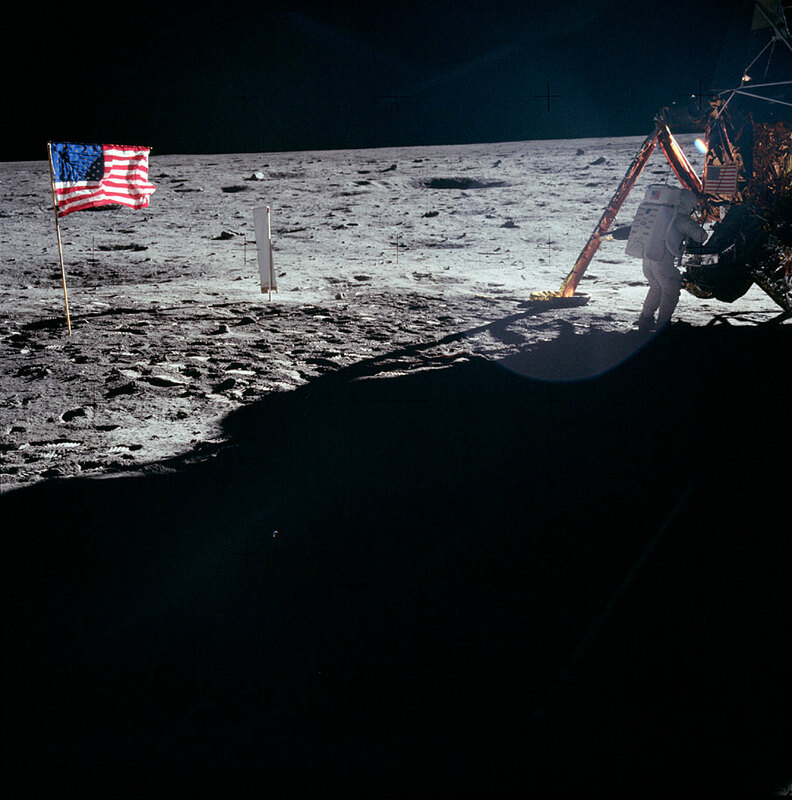 Armstrong and Buzz Aldrin then planted the flag of the United States permanently on the moon. World Trade Center Collapse: Following the terrorist attacks of September 11, 2001 and the collapse of the World Trade Center buildings, firefighters hoisted a flag above the rubble. A similar image to that of the Raising the Flag Over Iwo-Jima, the World Trade Center photo has become equally as famous. What Star on the Flag are You?